The saying goes “one man’s trash is another’s treasure,” but for Woomin Kim, it’s more than that: it’s art yet to be created. Her unique use of found and discarded fibers, such as glass from littered broken bottles or even old hair extensions, will be featured in an upcoming installation at the Chandler Gallery entitled “Urban Nest Project: Greater Boston.” Kim’s work is part of the 2017 Spirit Awards honoring Jason Weeks, Executive Director of the Cambridge Arts Council, to benefit Maud Morgan Arts. Juror Annette Lemieux, winner of the MFA’s Maud Morgan Prize, selected this installation for its resonance with social engagement and public interaction. Where you’d typically see the big, bold letters of “Greetings From…” or an endearing “Wish You Were Here,” there are stunning oil still lifes, surreal portraits or a textural collage made entirely of green circles. 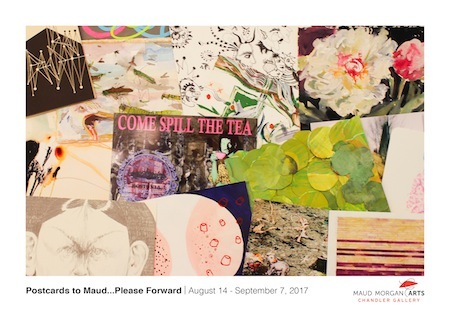 Postcards are the chosen medium in the Chandler Gallery’s latest exhibition, which asks artists to put forth some of their most daring work within the confines of 6×8 inches. 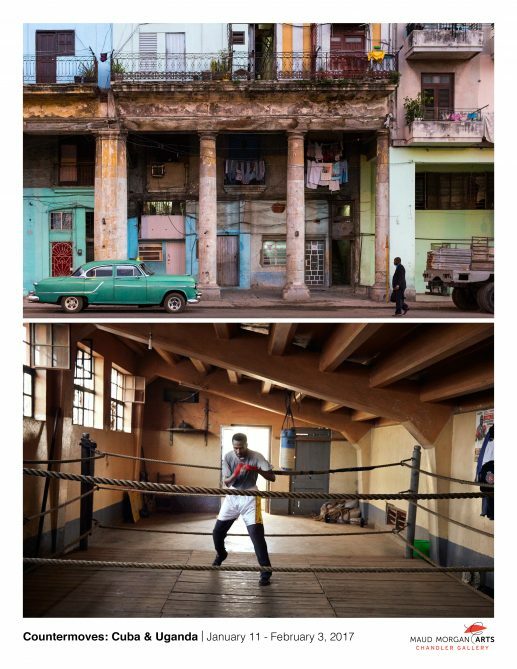 With a range of perspectives and different styles of art, these postcards are nothing like what you see in a souvenir shop. Artist Alexandra Sheldon’s sketches of Cambridge speak to locals. 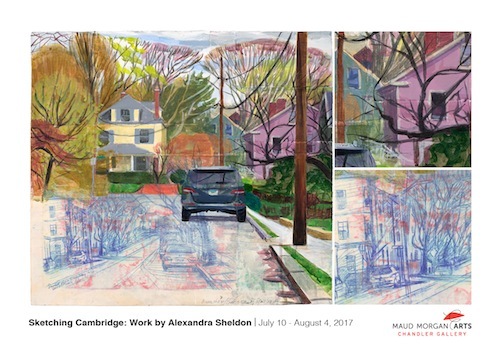 In “Sketches of Cambridge,” her upcoming show at the Chandler Gallery, Sheldon eschews city squares and tourist hot-spots and finds beauty in the paved streets, traffic cones, bare tree limbs, and power lines of residential neighborhoods. Sheldon combines her two passions—painting from life and abstract collage—to create realistic scenes in acrylic, gouache and watercolor that also incorporate collage, line drawings, color swatches and handwritten notes. 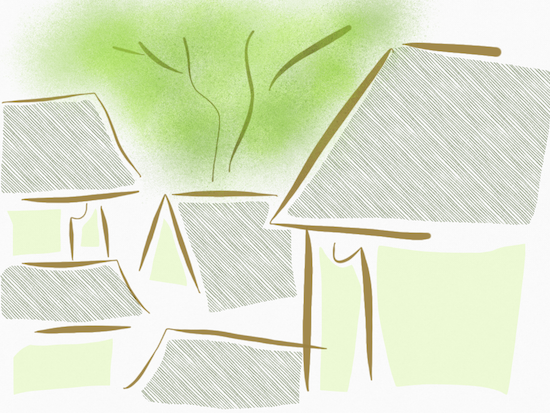 Perhaps because of the absence of human figures, these images evoke the kind of peace and solitude only residents know. 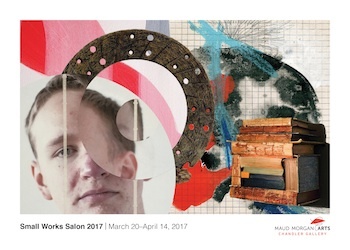 Chandler Gallery showcases works by young artists at Maud Morgan Arts and Agassiz Baldwin Afterschool. 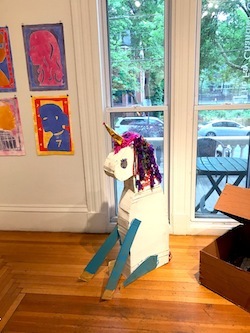 The artists, ranging in age from kindergarten through 8th grade, offer perspectives that older artists can mimic and aspire to, but can no longer truly possess. The variety of mediums reveals the breadth of ideas that children have to express. 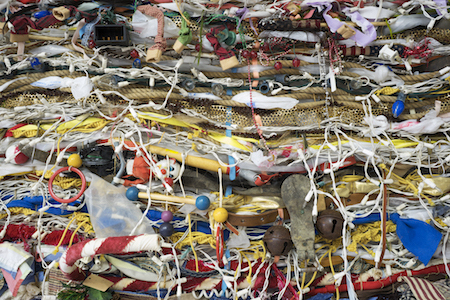 For 30 years, artist Bill Flynn has been collecting crushed gloves. He is fascinated by the way the random creases reshape each glove into a visually exciting flat piece. 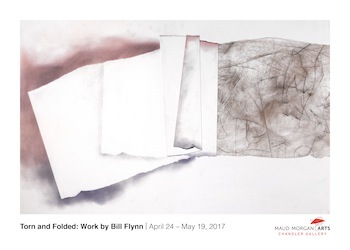 Flynn’s glove collection served as a major influence for his latest show at the Chandler Gallery: Each drawing borrows the techniques of folding and flattening to incorporate fortuitous rips and edges as part of the finished work. At dusk, a figure creeps through the bushes toward the open window of a house. The legs are visible, but the figure’s head and torso are hidden in a mass of white strands, like yarn or fur. Sarah Wentworth’s photograph, “Rugosa Window,” is one of the pieces in the Chandler Gallery’s 2017 Small Works Salon. Juror and gallery owner Howard Yezerski selected “art that is well made or crafted that has some ideas behind it.” In these diminutive sculptures, prints, photographs, paintings and collages, ideas abound. 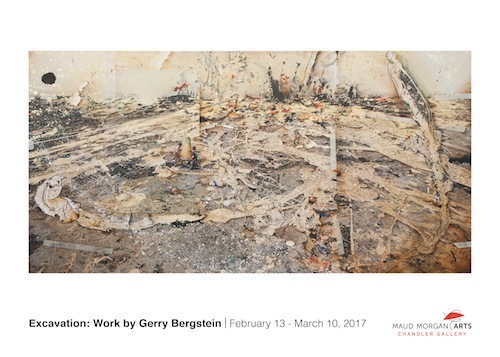 Artist Gerry Bergstein uses his studio floor as “an archaeological site in which to explore my own mind.” For over a decade, he has added paint and collage to an ever-evolving studio installation that serves as a figurative and literal starting point for his artwork. 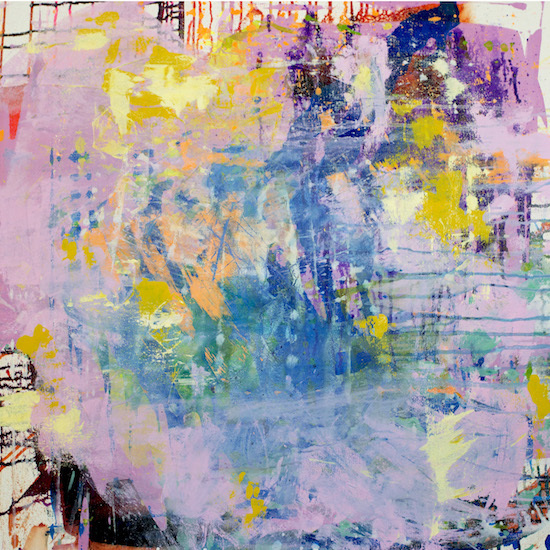 The pieces in Bergstein’s show at the Chandler Gallery combine photographs of his studio collage with additional visual elements, intentionally blurring the lines between photography, painting and collage.